The Indigenous People of Biafra (IPOB) has expressed gratitude to Northern groups for issuing a warning to the Igbos to vacate northern region. The group, however, pleaded for more time for the Igbo to relocate back to the south. Some Arewa youth groups had recently issued three months quit notice from the north to Igbo residing there, calling it ‘The Kaduna Declaration’. Although the call has received widespread criticism by northern governors and stakeholders, spokesman of the Northern Elders Forum (NEF) Ango Abdullahi, on Friday, expressed support for the youth groups, insisted that the Igbos leave. In a statement by Emma Powerful, IPOB assured the Arewa groups that its people will heed the warning and leave northern Nigeria. 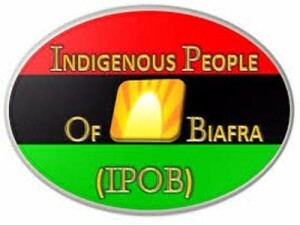 The statement, as published by The Cable reads, “We the members of the Indigenous People of Biafra (IPOB) and it’s leadership worldwide wish to sincerely thank the Arewa Elders Forum (AEF), Arewa Youths and Arewa Consultative Forum for seeing sense in what IPOB has been saying about the need for a referendum to be conducted in Nigeria to decide the fate of the component ethnic nationalities criminally lumped together by the British in 1914. “We promise to adhere to your warning to leave Northern Nigeria because a word is enough for the wise. Biafrans and other Southerners should start packing their properties to come down to the South. We also advice the Northern youths and their Elders to keep it on because all they have done is exercise their right to free speech which is not a crime under any law known to man. We are therefore against those calling for the arrest of these Arewa Youths and their Elders. “It is abundantly evident from the genocidal statements coming from certain influential segments of Northern Nigeria that the British socio-political experimentation and economic fraud we know today as Nigeria, should not have been created in the first place. IPOB is very much aware of the covert blackmail and implied threat inherent in the utterances emanating from Islamic Northern Nigeria. “Furthermore, the assumption that economic investments of Biafrans in the Northern part of the contraption called Nigeria is an impediment to Biafra restoration project is misguided and most definitely misplaced. This is cheap blackmail designed to trigger rancour among Biafra populations because the North have always assumed and wrongly too, that Igbos will place economic well being over and above their life. This assumption is based on a false premise and one we are determined to prove same as events unfold in the coming weeks and months.